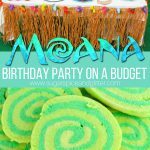 My daughter just turned 7 and we had the best Moana birthday party ever – if I do say so myself. 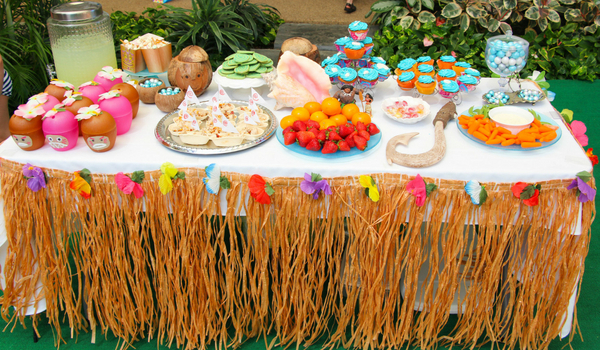 The party wasn’t especially over the top or lavish, but it was filled with friends, food and lots of swimming at a local hotel. We rented a suite that opened up into the pool area and it was perfection. I didn’t want to spend a ton of time baking and preparing for this party. 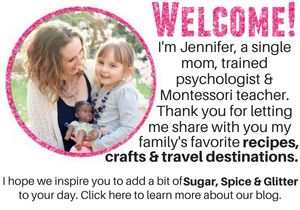 I wanted simple, straightforward recipes that I could whip up in one day and wouldn’t lead to any stressful last minute issues. 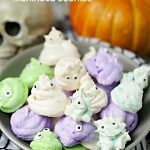 We ordered an ice cream cake from our favorite ice cream shoppe, I whipped up some pineapple cupcakes with coconut buttercream and white candy seashells – but my favorite dessert at the party had to have been these fun Heart of Tefiti-inspired sugar cookies. 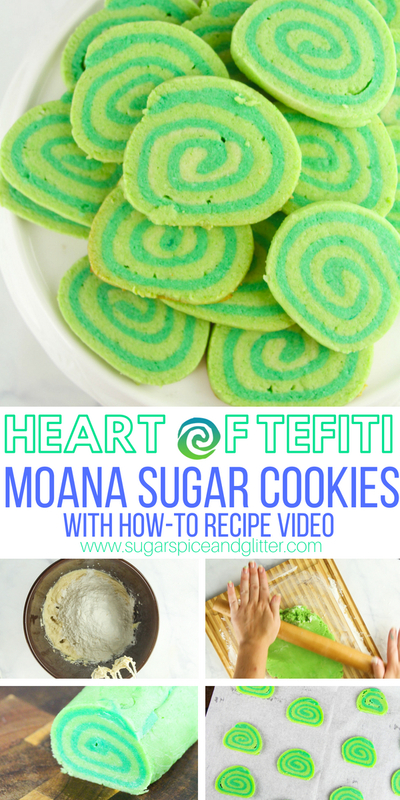 A simple pinwheel cookie dyed to match the iconic “Heart of Tefiti” from the movie, these cookies were such a hit at the party – and were super simple to make. 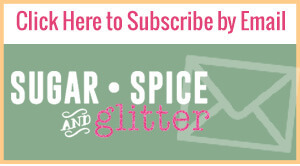 I even made a how-to video so you can see every step to rule out any confusion. 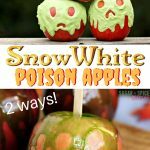 You can follow this recipe and method to make so many fun themed cookies – candy canes for Christmas, yellow and red for Wizard of Oz-themed, etc. Tip: you can freeze the rolled cookie dough or baked cookies for up to three months, if needed. Place the butter and sugar in a large bowl and beat until light and fluffy, about 2 minutes. Add the egg and vanilla extract, and beat to incorporate, about 2 minutes. In a small separate bowl, whisk together the flour, baking powder and salt. Add half of the flour mixture to the sugar-butter mixture, combine, and then add the remaining half. 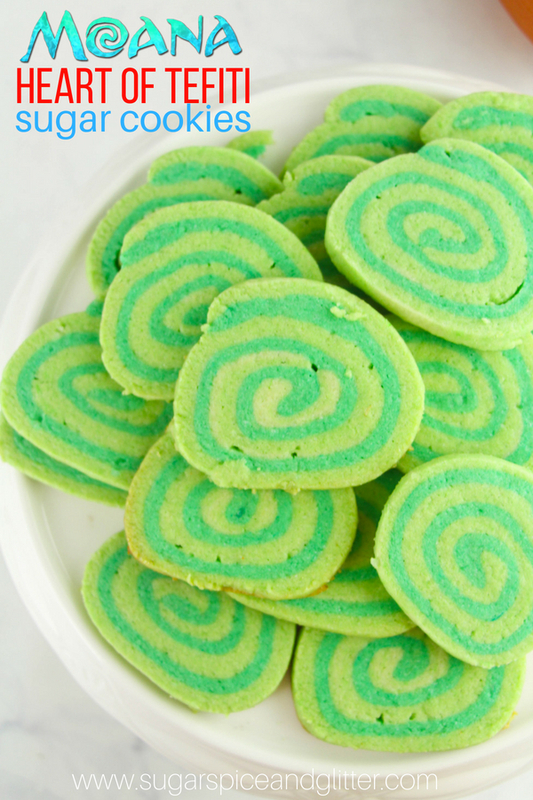 Dye the cookie dough light great by adding a few drops of green food dye, mixing, and then adjusting until you reach your desired color. Remove about half of the cookie dough to a floured surface, such as a cutting board. 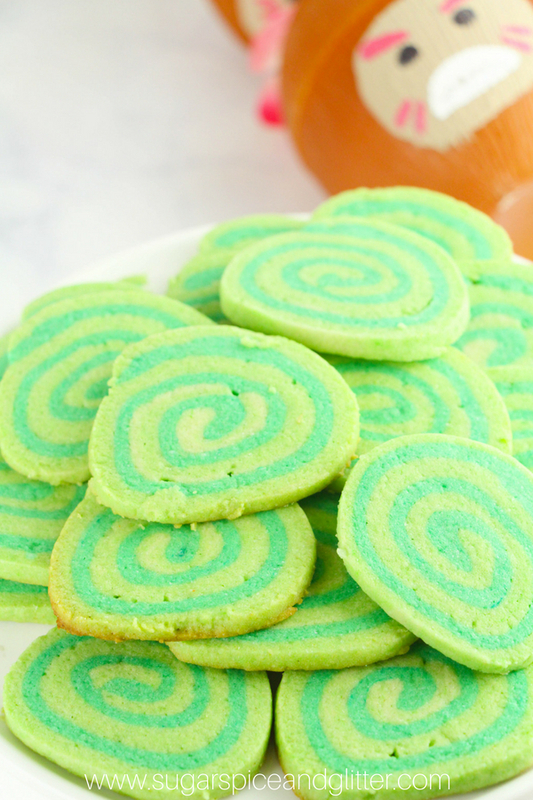 Dye the remaining cookie dough a brighter, deeper green with a few drops of teal food coloring. Roll out the two green doughs into even rectangles, approximately 1/4″ thick (they will be about 8″ x 14″ rectangles but the thickness of the dough is more important than the size of the rectangle). 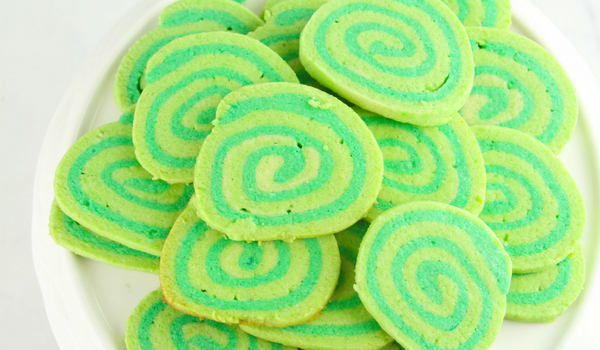 Place the darker green dough ontop of the light green dough and then roll together to form a log, as shown, with the light green dough on the outside. 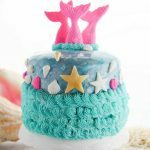 Wrap with plastic wrap (or simply cover with parchment paper) and refrigerate for at least one hour – you can refrigerate overnight, if desired. Preheat oven to 350F and remove the cookie dough log from the fridge. Trim off the edge (it likely won’t be too pretty) and then slice the remaining dough into 1/4″ thick slices. 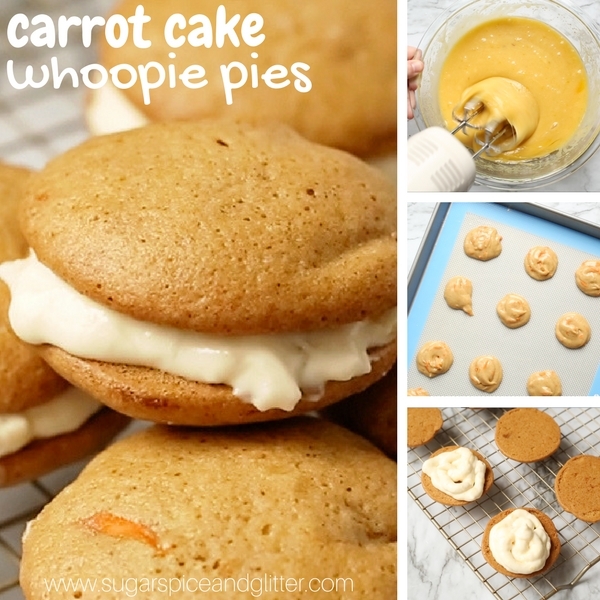 Place the slices on a parchment paper-lined cookie sheet (or silicone mat-lined) at least 1″ apart. Bake for 8-12 minutes, until just slightly golden on the edges. Allow to cool on the cookie sheet for 5 minutes before transferring to cooling racks, to prevent breaking. Store the cookies in an airtight container after they are cooled until you plan to enjoy them. You can also freeze these up to 3 months in advance – or freeze the cookie dough for that time, whichever is easier. Roll out the two green doughs into even rectangles, approximately 1/4" thick (they will be about 8" x 14" rectangles but the thickness of the dough is more important than the size of the rectangle). Wrap with plastic wrap (or simply cover with parchment paper) and refrigerate for at least one hour - you can refrigerate overnight, if desired. Trim off the edge (it likely won't be too pretty) and then slice the remaining dough into 1/4" thick slices. Place the slices on a parchment paper-lined cookie sheet (or silicone mat-lined) at least 1" apart. Store the cookies in an airtight container after they are cooled until you plan to enjoy them. You can also freeze these up to 3 months in advance - or freeze the cookie dough for that time, whichever is easier. 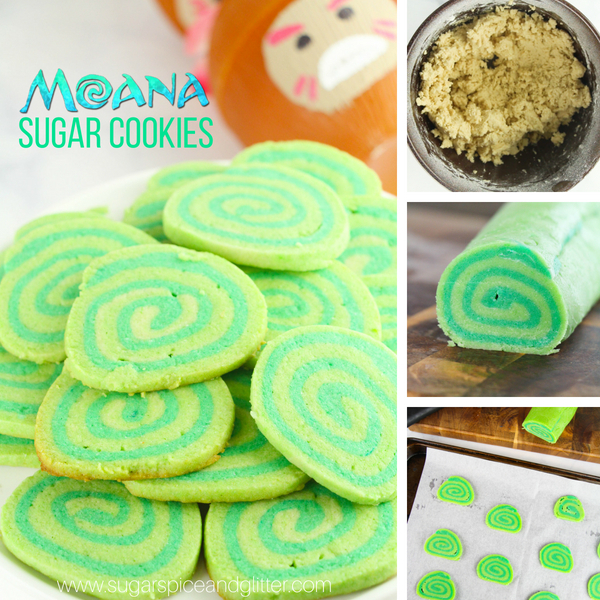 These fun Moana cookies are a delicious addition to your Moana party or movie night and you won’t believe how easy they are to make! 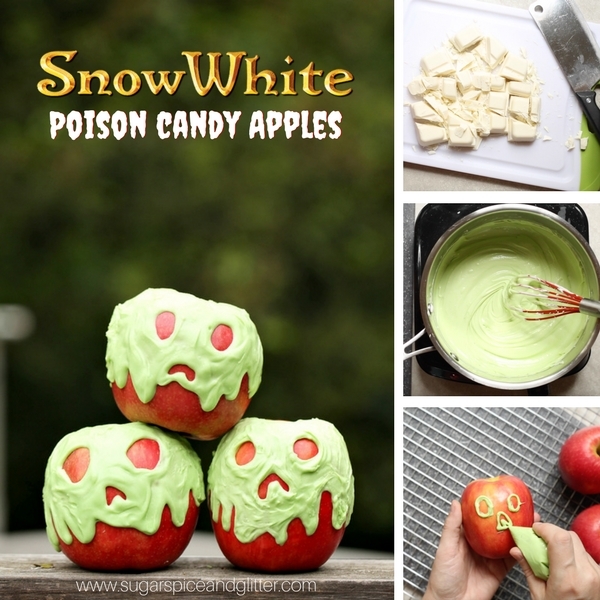 For more fun Disney-inspired desserts, check out our Snow White Poison Candy Apples or our Carrot Cake Cookies (inspired by the Hollywood Studios classic).